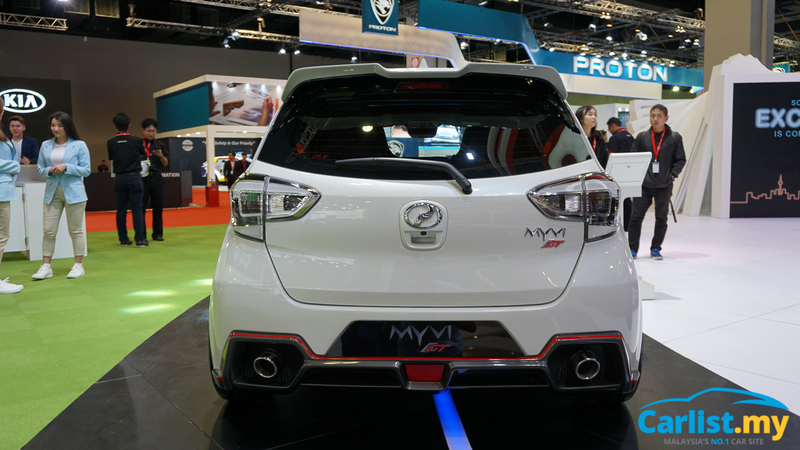 How Much Would It Cost To Make a Perodua Myvi GT? 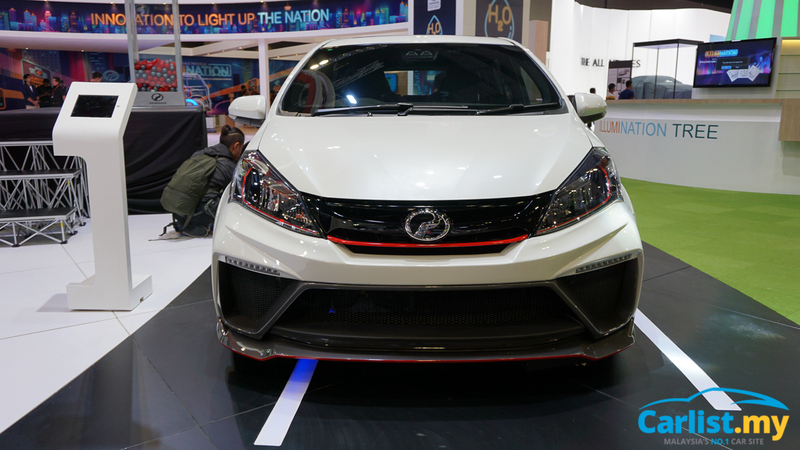 If you’ve been following KLIMS 2018, you’ll know that one of the largest attractions – intentionally or otherwise – is the Perodua Myvi GT. Bear in mind it’s just a concept, although one that’s extremely convincing and appealing even for those who wouldn't traditionally consider a Myvi at all. Historically, Perodua hasn’t had much experience with motorsports or building particularly sporty cars; one might regard the Myvi 1.5 Extreme as the closest thing they ever got to the word “sporty”, but even so it’s not the weapon that people would have hoped for. In short, Perodua would be in a tough position if they were to make a Myvi GT. Unlike Proton, they don’t have the motorsports experience, and they are hesitant to depart from what they know how to do well. That’s not necessarily a bad thing, as that strict sticking-to-your-guns approach has made them hugely successful, regardless of what some people think of their products. The Myvi has matured from being a compact city car to something that can stand up to more traditional offerings – and anyone who has spent a proper amount of time in one can attest to this. But the Myvi GT remains a highly appealing proposition. As a Myvi owner myself, I know full well what the car is capable of in stock form, and how much further it can be taken with a couple of aftermarket tweaks. 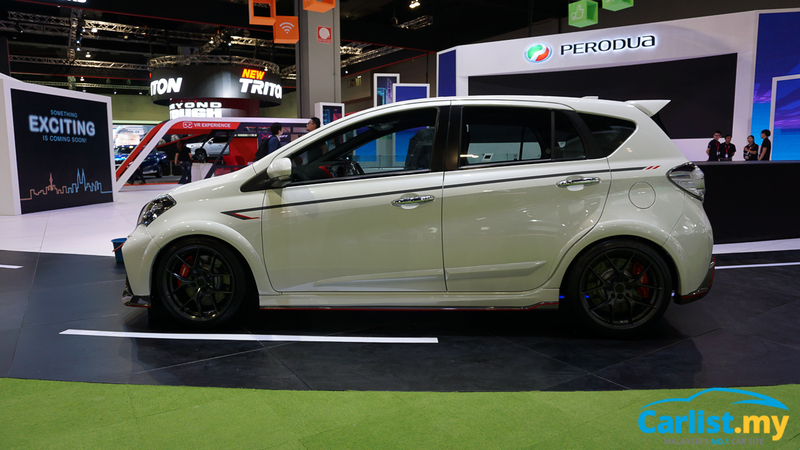 Beyond the aggressive looks of the Myvi GT, Perodua also slapped on some aftermarket suspension and big Brembo brakes under 17-inch wheels. 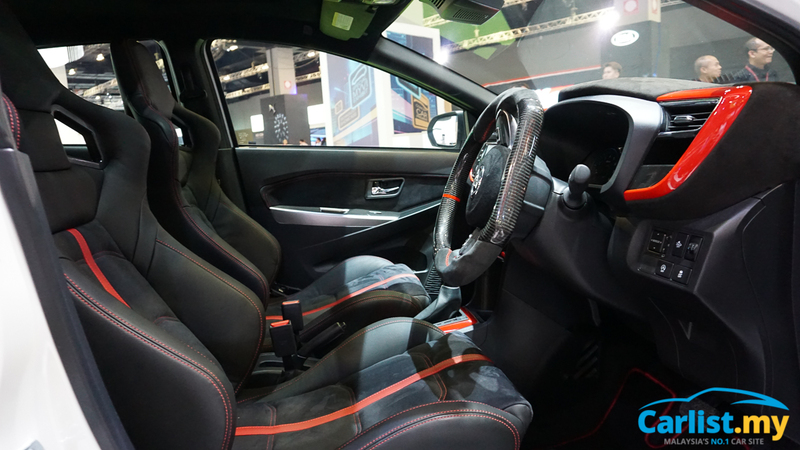 The seats are also a welcome change from the bench-like position, even if they are essentially re-upholstered SSCUS semi-bucket seats. Now, how much would it cost to make one? That’s always been the question at hand, because nothing good comes cheap, let alone free. A RM 10,000 premium over a top-spec Myvi 1.5 AV? Think again. 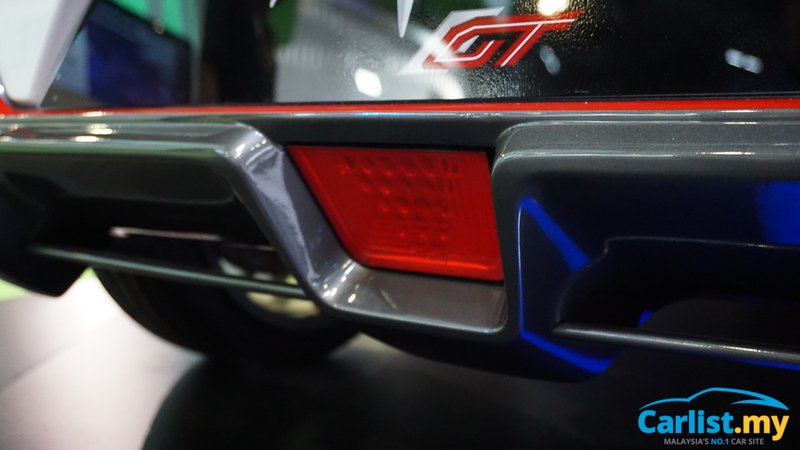 To make a true-to-concept Myvi GT would take a lot more than that, and that’s before we consider a couple of other requirements to make sure the Myvi GT is no toothless tiger. Let’s take the Myvi 1.5 AV as the base from which we start this little mental exercise. For RM 55,300, you get the full-fat version of the Myvi with all of the bells and whistles. Conveniently, the components we’ll be throwing out aren’t particularly expensive. Those 15-inch wheels can’t be more than RM 1,000 to produce in volume, so we’ll deduct that from the price – call it another RM 600 with the tyres as well. Suspension at all four corners comes to around RM 1,000, so that’s another grand deducted. The brakes aren’t all too expensive either, with disc and pad replacement coming in around RM 350 per corner, so that’s RM 1,400 gone too. So now we’re down to `RM 52,300. Unfortunately, this is where the price starts to go up – and quickly. For wheels, 17-inch Konig or Advantis do the job perfectly well, retailing for around RM 2,000 a set. In enough volume and with no margins, Perodua could probably source them for RM 1,500 a set – which is a pretty good deal for 17-inch wheels. The tyres are a bit heftier at around RM 750 a tyre for a Michelin PS4 in 225/50 R17 sizing, which comes to a whopping RM 3,000. The brakes are going to be especially painful to source. There are plenty of aftermarket options, but one good example is Wilwoods which go for around RM 4,200 for the largest front set that will fit very comfortably under 17-inch wheels. 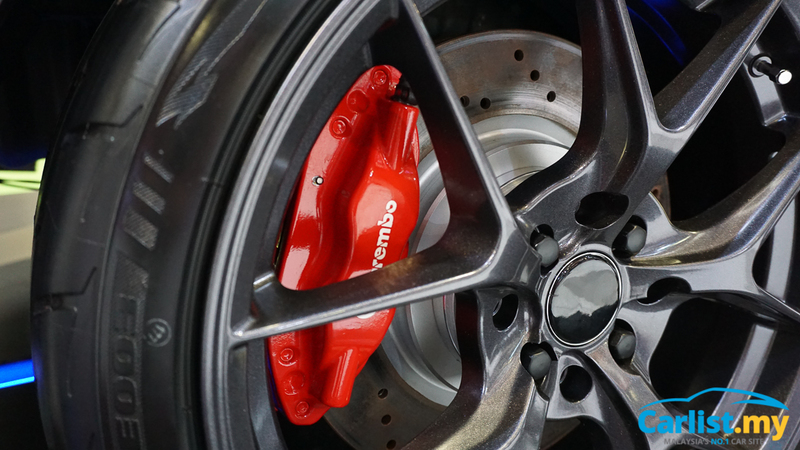 The rear set is a good RM 3,400 as well, and both prices would be inclusive of the brackets necessary to mount these brakes to the standard Myvi knuckles. That’s RM 7,600 in total, and with such a small volume to order, there isn’t going to be much of a discount. Suspension isn’t a huge issue as there are plenty of Malaysian outfits that can get the job done. 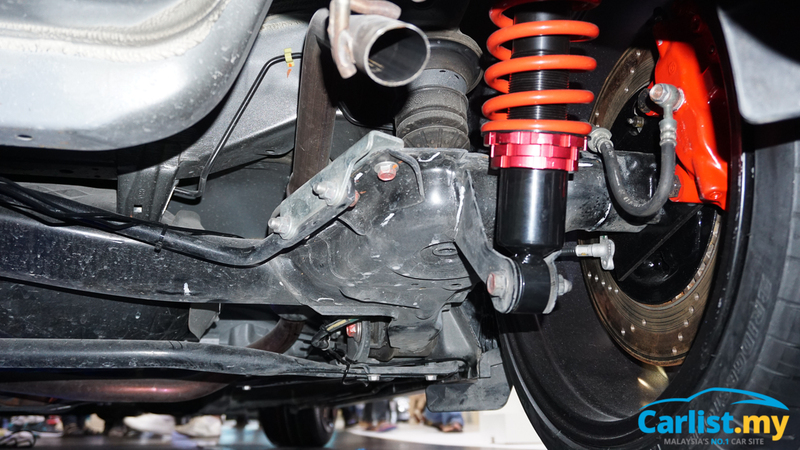 Pricing for basic height-adjustable suspension is cheap at RM 1,500 or so, although they will need to be dialled in and the downside is a higher service frequency. GAB or HWL can provide such a solution, and they offer performance that’s 60-70% as good as top-name brands – which owners can probably source themselves if they’re chasing seconds on track. Even so, the price now stands at RM 65,900 – and this is before we take a look at aesthetics. 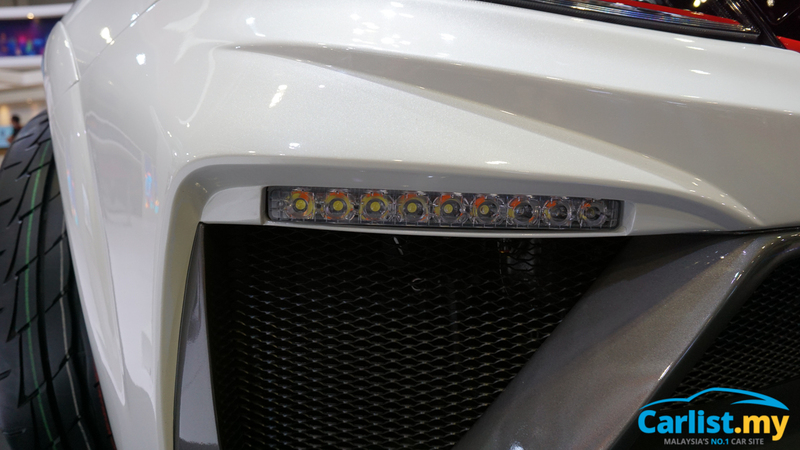 Front and rear bumpers, as well as side skirts, can be mighty expensive if not produced in large volumes. Let’s call it a solid RM 3,000 for all the pieces thrown in, along with extra massaging for the fenders to accommodate those large 17-inch wheels. 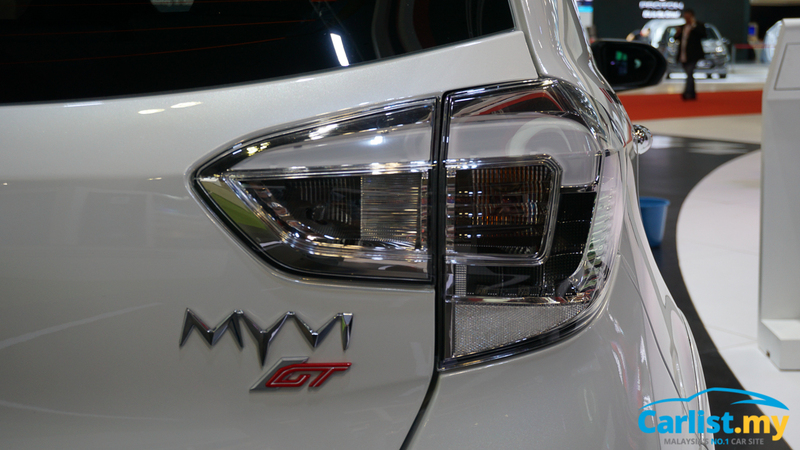 On the inside, the bare minimum to accomplish Myvi GT status would be the seats – a pair of semi buckets with Myvi GT upholstery, along with necessary brackets for installation will come to RM 2,500, but will allow front occupants to stay in their seats during aggressive manoeuvres. The red trim up front seems superfluous, but would hardly cost a thing to add. 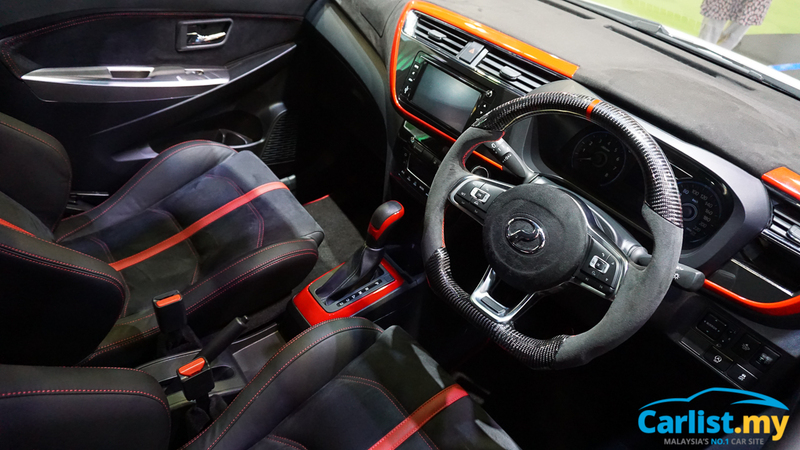 The steering wheel can remain as it is, as there’s no need to drop well over RM 1,000 on something far too gaudy for what would be the people’s hot hatchback. And perhaps that’s where the issue lies. 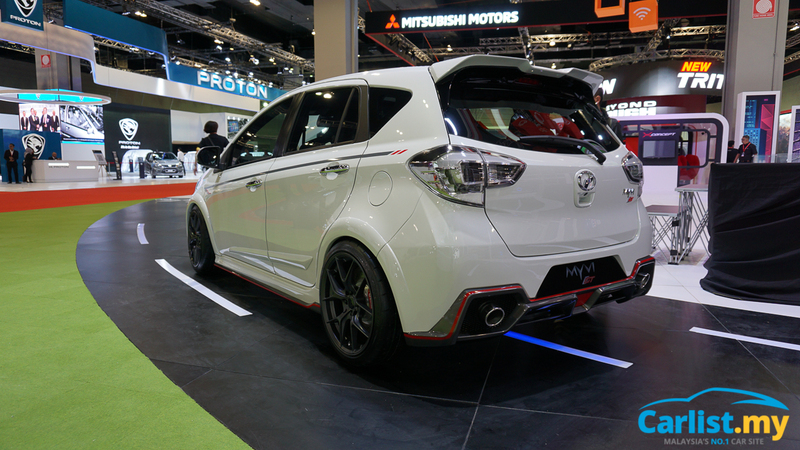 This hypothetical Myvi GT has to be more than a look-fast, corner-fast kind of car. It would have to be a true Malaysian hot hatch, one that fills a vacuum left by the Satria GTI oh-so-many years ago. Unfortunately, no current Myvi powertrain has enough performance potential in naturally aspirated form, no matter how much you throw at it in the form of intake and exhaust modifications. Aftermarket camshafts and higher compression pistons? I don’t think so – firstly because Perodua has even less expertise in engine development, secondly because the engine has to last at least seven years and no massaged economy engine will meet this standard, and finally because the long-stroke nature of these engines don’t lend well to high-rpm antics. No, we need a turbocharged engine – and we need to look to Daihatsu for one. Common sense would say go for the K3-VET from the Daihatsu YRV Turbo that so many Perodua tuners love to transplant into willing bodies, and it’s not a bad choice – although it wouldn’t meet current emissions regulations by a long shot and it’s been out of production for a long, long time. What Perodua could do is build the engine under license, but with a couple of new tuning tricks and a more efficient modern turbo, pushing the output from 129 PS and 170 Nm to between 150 and 180 PS, and 200 to 250 Nm, all without compromising reliability while meeting efficiency targets. But this wouldn’t come cheap. Case in point: a new Volkswagen 1.4 TSI crate engine goes for around RM 30,000, and we would have to look at new engines because this would have to be a new-from-factory car. Granted, the 1.4 TSI engine is far more advanced than a hopped-up K3-VET, but Perodua would also not have the benefit of economies of scale with producing this engine. A reasonable guess of all costs involved to produce such an engine wouldn’t be far off the RM 30,000 mark either. With a suitable 5-speed manual gearbox, we can add another RM 1,000 to the price. Thankfully, we can make a fair assumption that the standard 1.5-litre mill and 4-speed automatic gearbox would cost around RM 6,500, so let’s knock some of that cost down. That’s what it would presumably cost to produce such a car, and we aren’t factoring in the cost to homologate the car, or to test it, which would need to be factored into the price. Realistically, Perodua could probably squeeze suppliers on margins a little here and there to bring the price down a little further, but we’re talking single percentage points. To be fair, we could cut a few items from the list - the Wilwood brakes could be replaced with the largest OEM set from the Daihatsu/Toyota catalog - and the engine is a very cynical pricing estimate, so perhaps it could be done for RM 85,000. But who is going to pay this much for a Myvi? The answer is me, and probably a handful of other people. Not nearly as big of a crowd as those who would go for things like the Toyota Vios or Honda Jazz, but not an insignificant number of people either. This is where critics will start slinging arguments and call me insane, but let’s lay out the facts and figures. For this amount of money, nothing would come close in terms of performance. 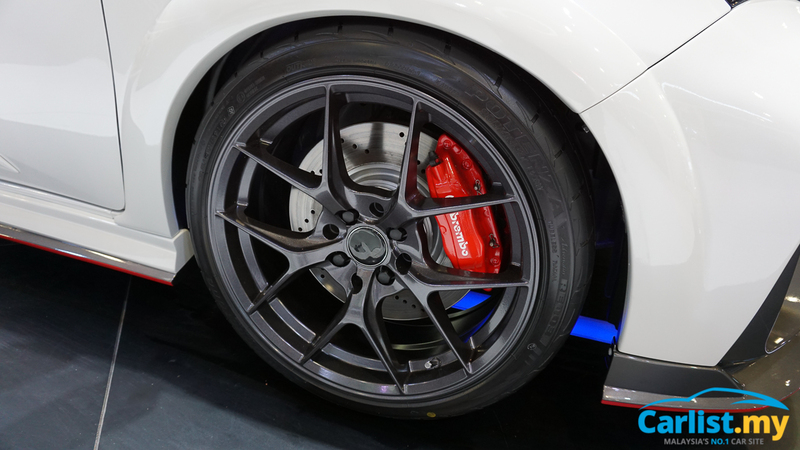 Eighty five grand would get you as much stopping power as you could ever realistically need, a capable enough suspension setup to keep the car in check when hauling up and down twisty roads, and a high enough power to weight ratio to make a Volkswagen Golf GTI think twice. And if we’re going to talk about capability or pedigree, let’s put these two questions to bed. The first can be answered simply: don’t equate your personal limitations to the limitations of the car. The Myvi is a car that is designed to be taken to the market or for the daily commute, so it would stand to reason that it doesn’t immediately seem like a good candidate. But anyone who has truly pushed the limits of one of these will know just how quick they can be in a series of twisty corners. The second is even simpler to answer. Many would say that the Myvi has no history, no pedigree to speak of. Perodua has no notable motorsport accolades. But what did the Volkswagen Golf have to its name before the GTI was unveiled? What was the Renault Megane known for before the Megane RS become a cult hit? And closer to home, what was the Proton Satria but a three-door hatchback, were it not for the Satria GTI? No hot hatchback in history has ever come from money, nor was one ever designed with the intention of being hot right out of the gate. 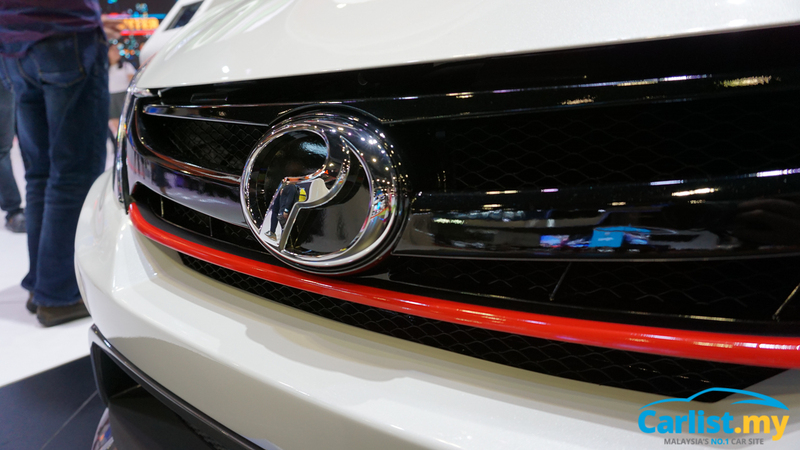 Perodua is in a position to do something great with the Myvi, and while it would take a lot of arguing and convincing to make it happen, it could very well be something that validates the Myvi as more than a good value for money proposition.